You always want the fastest connection When it comes to using wireless modems on your laptop – the new Franklin Wireless 3G/4G U301 USB Modem for Sprint is the perfect solution. You can now enjoy the fastest 4G wireless modem has to offer – up to 10 Mbps downloads and 4 Mbps uploads. That’s almost 4 times as fast as the current 3G speed. Wherever the high-speed EVDO Rev A 3G network is available, you can still get data downloads of up to 3.1 Mbps and upload speeds of 1.8 Mbps. That’s pretty amazing, right? With that kind of wireless broadband 3G/4G connection, you can even say goodbye to cable modem at home. The Franklin 4G wireless modem also has built-in GPS for location-based services so that you can use it as a Navigation device. 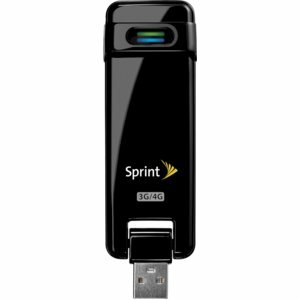 The Franklin 4G USB Modem for Sprint is on sale today for only $49.99. Free shipping is included. Get yours today. The freedom of surfing the Internet, checking emails or accessing Corporate Network anytime and anywhere is just priceless.